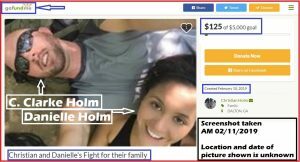 The Holms’ GoFundMe! – Kent Hovind v. Robert Baty – The Great Debates! A new low, for even the Holms! I have sat here for a while now thinking about what to say and there is just no way to explain how upside down our lives have become in the hands of others over the last 2 1/2 years. What I can say is this. We are a loving, compassionate family full of life and a willingness to help change the world so that our country goes back to what it was founded upon which is, truth, love and freedom. We never asked to be in such a tough position fighting for the lives of so many including us and our son, but we are and we will never give up for the sake of many. Over 2 1/2 years ago our lives were forever changed when we “lost” our son. I am saying “lost” here for the sake of keeping this short, but truthfully it was much worse than this. We did not lose him, he was violently taken from us. It is a daily struggle we keep having to face and we have both lost and given so much all while we are grieving. This fundraiser is to help us get back onto our feet that we have been knocked off of over and over and over again. For the last 2 1/2 years we have been unable to grieve, we have received little to no support (financially) and after selling all of our possessions several times, and spending all of our life savings on bringing awareness to the loss of our child we are yet again, left with nothing (other than what we are currently making via work which still is not enough to recuperate everything lost). We have traveled this country using our life savings, bringing awareness to the devastation so many families are facing as well as child trafficking and we have also sought out relief for our own family to no avail. It is now time to regroup. We are trying to settle, we both are working full time, having to be separated from one another while trying to grieve and do what we need to do in life, and we are doing the best we can all while being torn in many different directions with no way to heal, no way to grieve and no way to truly rest. We rarely ask for help, and when people do offer we graciously accept although it is not too often this does happen because many are struggling themselves. Starting over 100% from the bottom at zero in the bank account is what we did and thankfully one of our supporters offered us her vacant house temporarily so we could at least start to work, which we did and still are sometimes close to 100 hours per week (total with driving time) which leaves us with absolute exhaustion. Now, in 2 weeks that offer is expired and we are having to leave to find a new place. We do not care about possessions, toys, games and unnecessary wants. We only care about true health, real food and surviving while spreading awareness about what has happened to us and so many other families in regards to child trafficking. We are currently spending close to $1000 per month just to be able to rent a car to drive to work because we had to sell our vehicle to continue to speak truth and survive. We are nowhere close to being able to gather up all the funds needed together at once for first, last, security deposits for rent and truthfully all we care about is having a homestead away from all of it to be able to heal, grow our own foods and live simple in a yurt or tiny cabin, but there is no way for us to do so when we have given everything and have lost everything. It will take us years to get back all that has been taken from us, to be able to do so. We are starting all over from scratch. What we are now asking for is some help for us to be able to at least have enough funds to get into a place, as moving costs are high. We have zero furniture, (which is still fine and we do not need any, again we are very simple), we have no vehicle of our own (which we do not mind, although this system forces you to need one to survive, otherwise we don’t care to have one) and as of right now, nowhere to go in 2 weeks. All because of fighting for truth, love and freedom and trying to save the lives of many families who have been abused, violated and destroyed for the love of money. We do not love money. We love humanity and only wish to make a pathway for those of us who only desire to be closer to the land, live simpler lives and care for our families. Family is all that matters to us and to God and without that there is no guarantee in any of our futures. We stand up for families and we have had our family destroyed. Any bit that anyone can help out with would be very much needed and appreciated. We are only trying to survive and get into a place and we can handle it from there hopefully to be able to save some for our future homestead which is all we care to have with just the needs of living. it is the all up front costs that is very hard to reach when starting from the bottom when you have absolutely nothing and renters look for a large sum up front. I also can assure you, as we have always done in the past and will forever do in the future, we always pay it forward. Always. Your contribution will never go in vain. Thank you for your time and we love you all. Seems the Holms are having trouble living as DINKS (double income, no kids) and living as responsible adults. Who knows. Typically, they provide no real details that might allow a reasonable evaluation of what is really going on with them besides more lame whining. Danielle and Christian. Get a job. Work hard pay your own way. 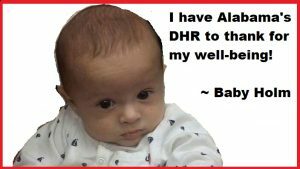 A lot of people begged you to get a place and do the right thing by your baby to get him home. You refused said you didn’t have o do anything of the sort. You said you sold everything to walk. You made your choices. Now you want people to pay your way to get you set up. People gave you money. People gave you RVs. People gave and gave. And you both took. Didn’t want to work. You both need to shut up. Get jobs get meds. Take responsibility for your actions and yourselves. Be productive members of society. This is exactly why you were unfit to parent. You both have a whole lot of nerve.